There are some angels who just want to love everyone! 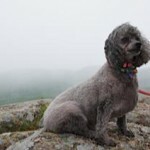 The following donations were given to all the Rescue Poodles. For Coco, in memory of Simon ~ John Grausam. In Memory of James B. Hanley, D.M.D. from William T. Sylvia, Jr., D.M.D. and Carol A. Blanchard, D.D.S. 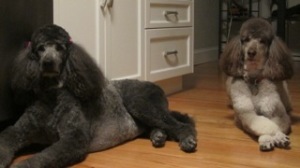 In memory and appreciation of Ella, a beautiful black standard poodle girl, loved and missed by Victoria, Victor, Katia and Alexander and her whole neighborhood. In Honor of Lisa Lieberman’s birthday from Phil and Frannie Garland, Kenneth and Joann Greenwood and Richard and Janet Kaufman. In memory of Peter McCormack. With love from the Newton nurses. 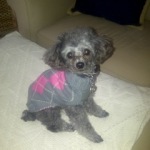 Susan Corson-Sent with love and thanks for our adorable GRACIE, a PRNE adopted cutie 12 years ago! In Memory of Peppy from Sally Platek to help care for the permanent foster pups Sadie, Titi, and Marvin. In Loving Memory of Sidney from Eileen and Pam. Scott McGrath -This is in loving memory of Nikki, Oct 2001 – July 2014. 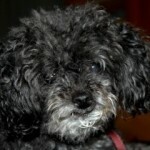 Nikki was a great, great, toy poodle and joined our family as a rescue poodle..all those years ago. We miss her. 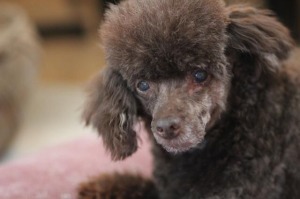 To all the poodles in need, from our poodle, Darwin. In celebration of of Missy & Little Bit coming to their forever home. Michele Crown. For Marsha and Sheldon, In memory of “Hank” with love from Ellen and Mike. From Mimi LeBrun, In memory of Hank, “the king”, who was very much loved by Marsha and Sheldon. In memory of Buddy, Roxie and Grady from Moppet. In loving memory of Niki, the sweetest little girl from Angela Smith. From Scott and Rochelle Chambless and Molly and Frankie too! In Memory of Arthur from Diane Lonardo. On May 18th 2012 said goodbye to my beautiful boy, my soul. Miss you every day my sweet boy. In memory of Harry, our “Little Man”. You’ll be in our hearts forever ~ The Garvin Family. Please use for whichever poodle needs it the most. In memory of Ichigo, my one in a million dog~Deena Haragan. In Memory of our beloved brother, Jack. Love, Pogo, Buddy, and Titi. In memory of Ashley. Fly free sweet angel ~ the cardinals sing for you. 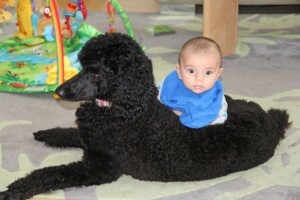 In memory of Genevieve Grace, the loveliest little poodle our family could ask for. In memory of Lucy and Jasper and the many years we all shared together. 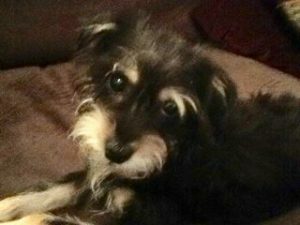 We would like to thank Sheryl and her fiance for opening up their loving home to our sweet little Shianna and for their generous gift to help other precious dogs. In memory of Irene Feldman, an angel of a mother & grandmother to Anne & Becca Aronson. The Makovers.